People like to send me stuff from time to time and y'know, it's quite nice. I like trying out new foods and all that. But really, quite often there is not a lot you can say about them so I tend to save them all up for posts such as this. First off, the lovely people at Bear Nibbles who celebrated their 3rd birthday by launching a new YoYo snack in mango flavour. Now, I actually didn't get to try this because the children snaffled it up before I had the chance to do anything, but they assure me it was "yummy". They were also rather taken with the lunchbox they sent us. 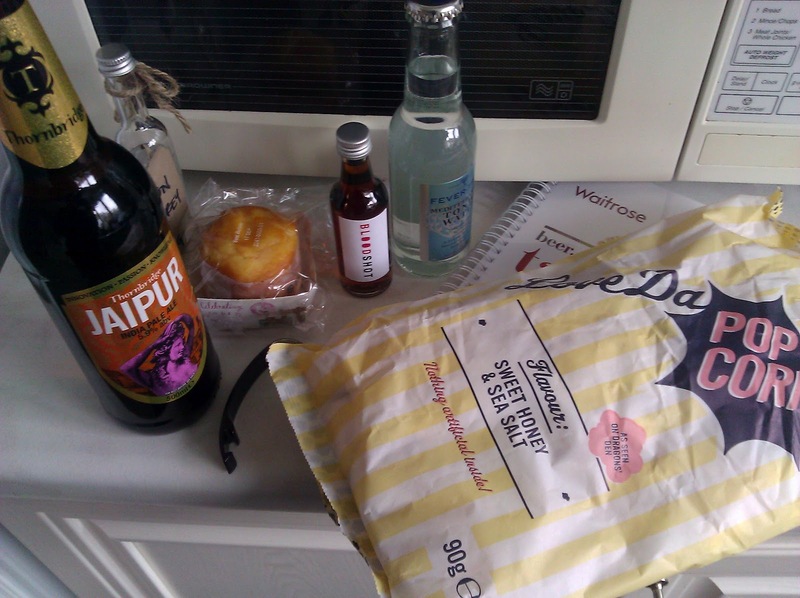 Next, Waitrose invited me to an event trying out drinks for that time of year that is coming up. As I couldn't go, they sent me this little lot. Hubby tried the Jaipur IPA and said it was nice if you like that sort of thing. The bottle with the label is Heston's Earl Grey and Lemon Gin which was quite nice with the tonic water although I am not a huge gin fan. The popcorn was very popular with the children, unsurprisingly. However, I cannot bring myself to try the Bloodshot which I think is vodka or a liqueur infused with Bloody Mary flavours. Ew..
Then, PeerIndex sent me a little perk just because. It was some Cravendale Epic Straws and vouchers for a month's supply of Cravendale, which actually turned into two weeks' worth as we use so much milk in this house! The straws are like those Connecta Straws that were all the rage in my childhood and the kids had a blast building with them. I don't think they have actually used them as they were intended - for drinking but they can make some very long straws! 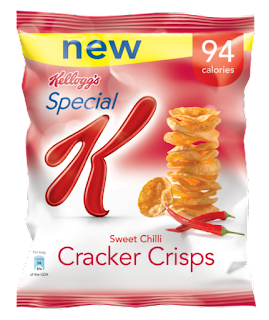 Finally, Kellogg's sent me a couple of boxes of Special K Cracker Crisps to try. 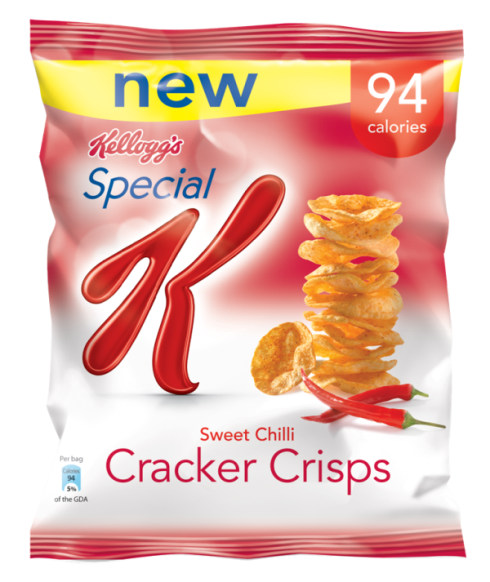 A bag of these crisps - or 21 if you buy the bigger boxes - is just 95 calories and only 3% fat. I am usually a bit dubious about diet food because they usually replace one lot of rubbish with another. However, I did like these - I was sent the sweet chilli and sour cream & chive flavours to try, and much preferred the sweet chilli flavour. They are quite moreish but what crisps aren't? I didn't like that they were potato and wheat based because those with wheat or gluten intolerances couldn't have them but they were and are a decent option if you need to have a low fat snack (although you are only saving yourself about 35 calories compared to having a packet of regular crisps, so it's your decision whether you think it is worth it or not!). I think that's it for now! Thank you to all the above companies for sending us such lovely treats.